Phew, this has been quite the week! Table reservations are currently “Sold out” but please take a chance and come if you were planning to. Anything could happen and those seats are not pre-sold. I enjoyed meeting with host, Dan Olson and discussing how I met Keldon, his performance at last years Uke Fest and then a little about my own journey with the ukulele. It should air later this week. 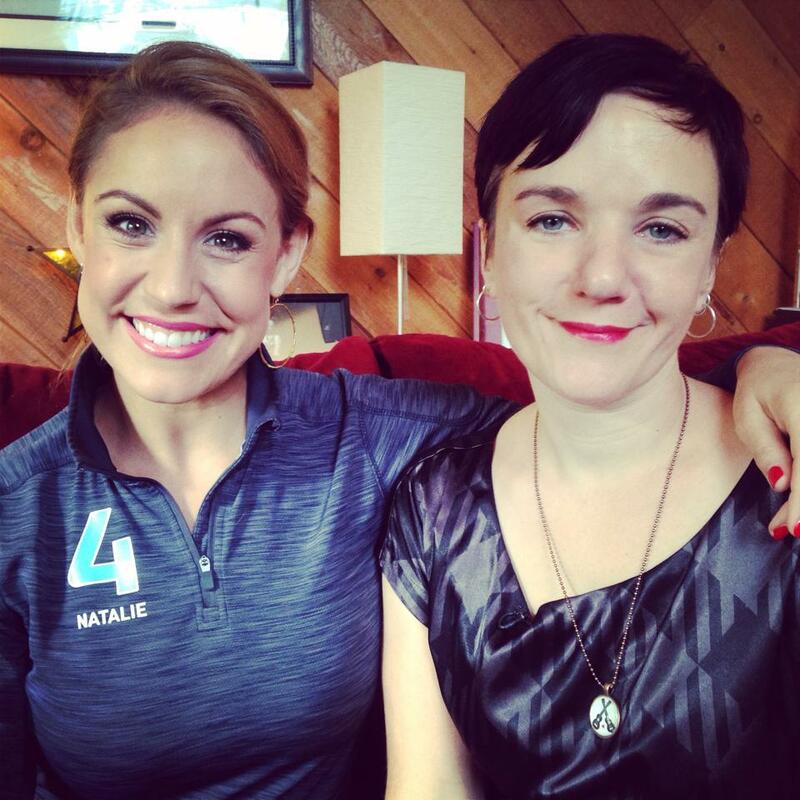 Then just this morning I met with Natalie Nyhus from WCCO news. She does a great series on ‘Women Who Rock’ and in the past couple of weeks I was filmed solo and with the band and then today got to chat with her and tell her a little bit about my life. The piece was originally going to air this week to promote Uke Fest but will now air to highlight a future show. I will update when I know more. It’s really been a thrill to get to share these kinds of moments. All I’ve really ever wanted was to have the chance to express myself and actually have a few people show up to listen. Singing and writing is such a big outlet for me but to have people enjoy it is incredibly rewarding. I guess if I sang in an empty forest I would still love it but people hearing it makes is so much better. I hope to see some of you this weekend. I will have t-shirts, necklaces and FREE BUTTONS for Uke Festers and I know we’ll have a fab time. Love and thanks , Katy. I wanted to let you all know about a pretty exciting opportunity I have coming up this weekend. I will be playing a solo show this Saturday at 9 pm at the lovely Aster Cafe. WCCO will be filming my opening set as part of there ‘women who rock’ series. Please RSVP and support me. I really hope to see some friendly faces that night! If you are able to attend (And it will be a great show with the talented and lovely Vicki Emerson and band playing) then please rsvp to the Aster. Thank you and I will let you all know when the piece airs….